Banks’ practice of tying loan interest rates to borrowers’ credit default swap (CDS) spreads constitutes one of the most recent financial innovations. In this post, I discuss evidence from a research project, undertaken with Ivan Ivanov and Thu Vo, showing that this practice has lowered the cost of bank credit. I also discuss some potential drawbacks of this innovation. 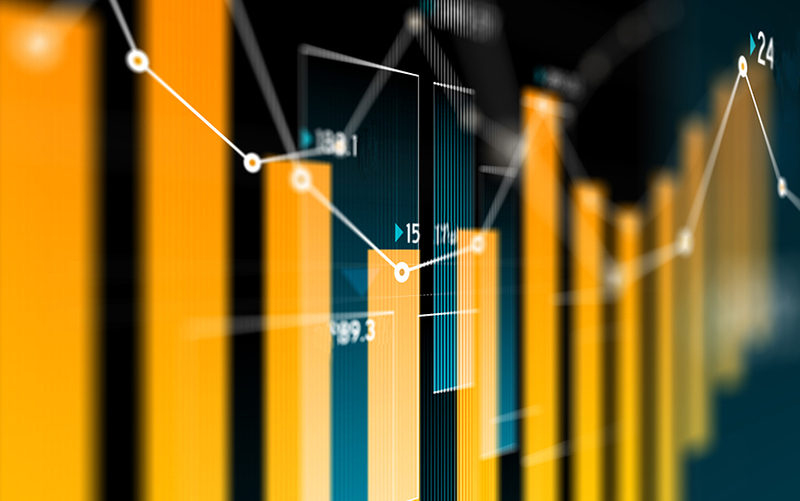 The development of the CDS market has provided banks both with a new way to manage their credit risk and with observable information on borrowers' default risk. While banks do not seem to use the CDS market extensively to lay off credit risk, it appears that they are relying on information from the CDS market in their lending business. We find that since early 2008 banks have increasingly extended loans to corporations with interest rate spreads tied to the borrower's CDS spread (or to a CDX index) over the life of the loan, a practice referred to as market-based pricing. In addition to tying the loan interest rate spread to the borrower's CDS spread, market-based pricing contracts often specify an interest rate cap and/or a floor—both of which are usually kept constant throughout the life of the loan. The chart below shows that banks have used market-based pricing mainly in loans to investment-grade borrowers. Since their inception in the second quarter of 2008, CDS/CDX-based loans accounted for approximately one-third to one-half of total investment-grade bank lending in the syndicated loan market. Banks have used market-based pricing predominantly on loans to large corporations. Even though the number of CDS/CDX-price-based loans issued per quarter rarely exceeds twenty, the amount of total debt issued under these contracts has been as high as $95 billion per quarter. Market-based pricing has the potential to lower the cost of bank credit because it saves on monitoring costs, that is, the costs banks incur to screen borrowers for credit quality and the costs banks incur to follow borrowers during the realization of their investment. Market-based pricing also has the potential to lower the cost of bank credit because it protects banks against increases in borrowers' default risk. In my paper with Ivanov and Vo, we find that banks charge lower interest rates at origination when they tie loan spreads to borrowers’ CDS spreads. This finding is robust in that it persists when we compare loans that are originated by the same bank and even when we compare loans that are similar and control for loan- and borrower-specific variables that proxy for the risk of the loan. This finding, however, does not necessarily guarantee that the market-based pricing of loans is associated with a reduced interest cost of bank financing because loan spreads can now vary during the life of the loan. To address this issue, we compare the interest costs firms incur during the life of their loans when interest rate spreads are tied to credit default swaps with the hypothetical payments firms would have owed had banks opted for using the standard pricing model. We find that the difference between the actual and the hypothetical fixed-rate spread over the life of loan is always negative for loans priced off the CDS market, confirming that market-based pricing has lowered the cost of bank credit. It appears that banks are able to lower the cost of credit because of the savings they realize by replacing costly screening and monitoring with borrower-specific information from CDS markets. We draw this conclusion because we find that loans with market-based pricing have fewer covenants than otherwise similar contracts with fixed interest rate spreads. The transformation of lending that has arisen from banks' pricing loans off borrowers' CDS spreads has several potential implications. Since market-based pricing makes bank loans less relationship-based and more transaction-based, it might limit borrowers’ ability to benefit from relationship lending, which has been a distinctive feature of bank lending. The adoption of market-based pricing, by reducing banks' monitoring, might also have a negative effect on investors that free ride on bank monitoring, and consequently on the cost of non-bank funding sources. Further, market-based pricing has the potential for creating spirals in the cost of bank credit. Adverse shocks to the CDS market could lead to an increase in the cost of bank credit, putting pressure on the financial condition of borrowers. This outcome could, in turn, lead to further increases in borrowers’ CDS spreads and another wave of increases in the cost of bank credit. Great article. Pardon my rudimentary questions. I have the feeling that the people who calculate CDS spreads may in this case hold critical roles akin to those held by issuers at rating agencies in the pre-2007-8 times..
1) Who does the calculation and what methods do they use? If you can direct me to the sources, I can read up on it. 2) Does any regulatory agency monitor the "calculators" methods?